When I was writing the book Will I Ever Be Good Enough? Healing the Daughters of Narcissistic Mothers, I found that I heard certain kinds of painful stories over and over again, like themes in a piece of music. One theme was that of mothers being jealous of their daughters. 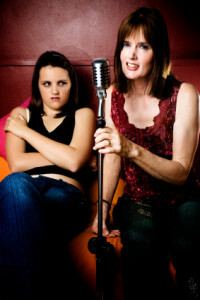 So much so that I included it in what I call the “Ten Stingers” of mother-daughter dynamics when the mother has a high level of narcissistic traits.